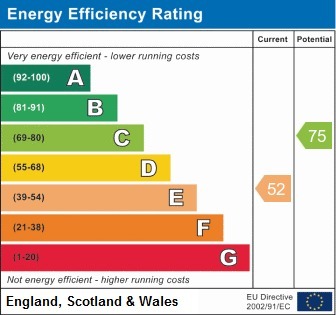 GUIDE PRICE: £260,000 TO £270,000. 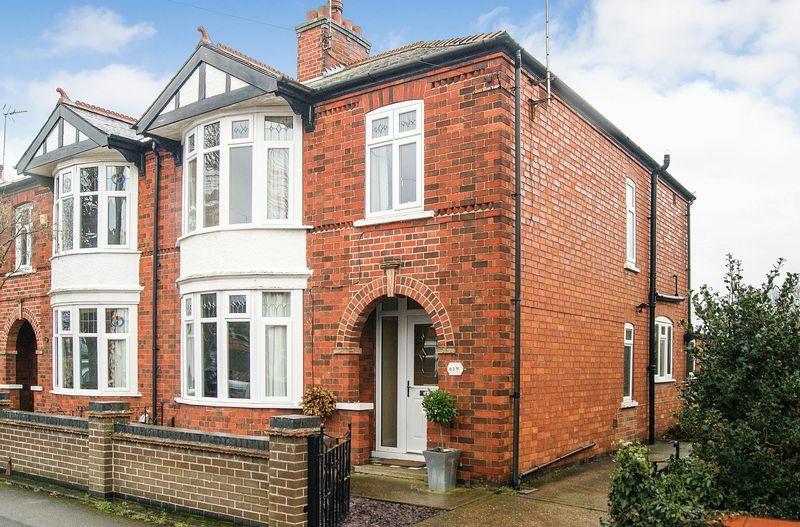 A superbly presented three bedroom semi detached Vickers built home situated on this quiet and very popular residential road a short distance from the town centre. 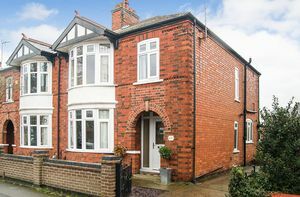 In addition to the three bedrooms, the property has two excellent sized reception rooms, superbly appointed kitchen and bathroom, and an attic room/study, This delightful home also has off road parking, a garage and an enclosed garden to the rear with a timber workshop. The property is double glazed and has gas central heating. NO CHAIN. Newark on Trent is abundant with historic features including the Castle, Church and market square. Newark also boasts amenities including the Palace Theatre, bowling alley and cinema. 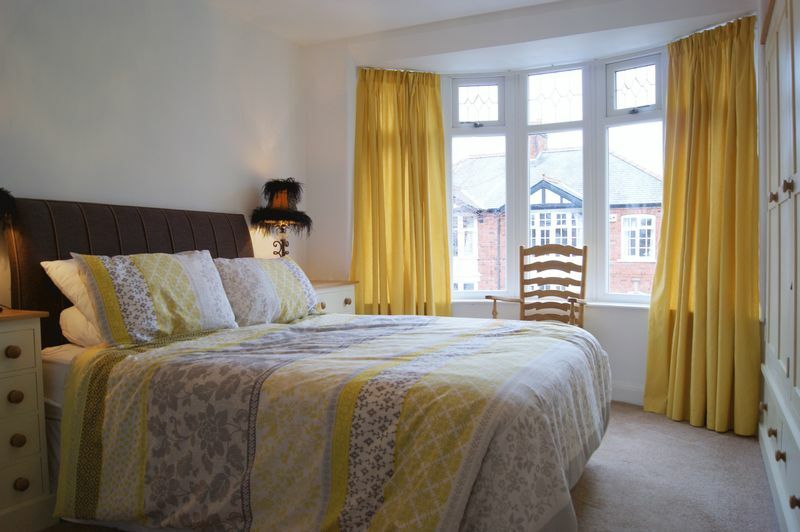 There are excellent shopping facilities in the town including major retail chains and supermarkets including Waitrose, as well as fine restaurants, public houses and cafes. For the commuter the A1 trunk road offers easy access to the north and south of the country. There is a DIRECT LINE RAIL LINK FROM NEWARK NORTHGATE STATION TO LONDON KINGS CROSS WHICH TAKES FROM A LITTLE OVER AN HOUR. 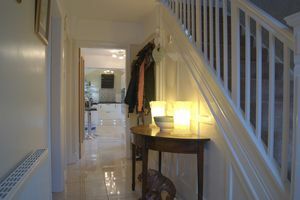 The spacious and welcoming reception hallway has the staircase rising to the first floor, and doors leading into the lounge, the sitting room and the kitchen. The hallway is complemented with high gloss ceramic floor tiling, and also has a picture rail, a ceiling light point and a radiator. 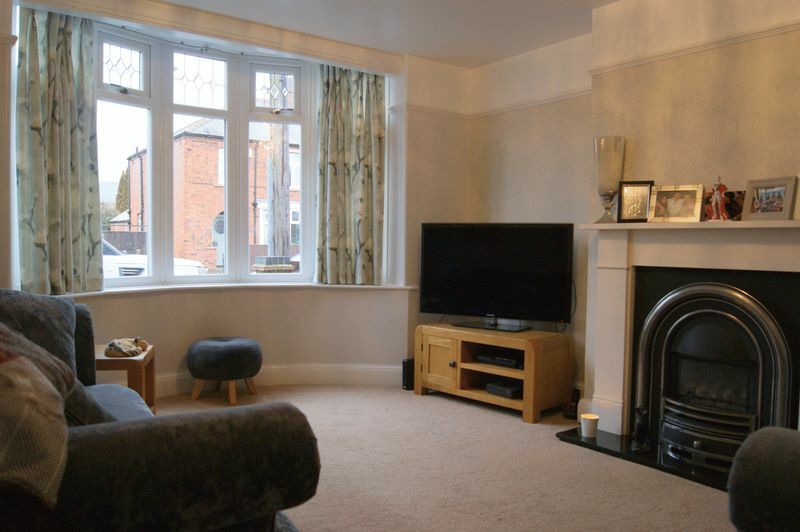 This excellent sized and very well proportioned reception room has a delightful bay window to the front elevation. The focal point of the lounge is the feature fireplace with living flame gas fire inset and sat on a marble effect hearth. The room also has a picture rail, a ceiling light point and a radiator. Once again this is an excellent sized and well proportioned reception room. 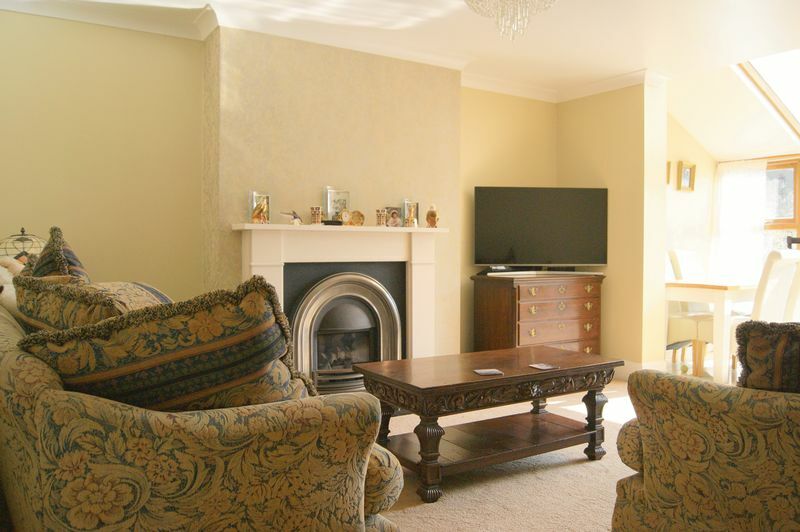 The sitting room has a feature fireplace with living flame gas fire inset, cornice to the ceiling, a ceiling light point and a radiator. 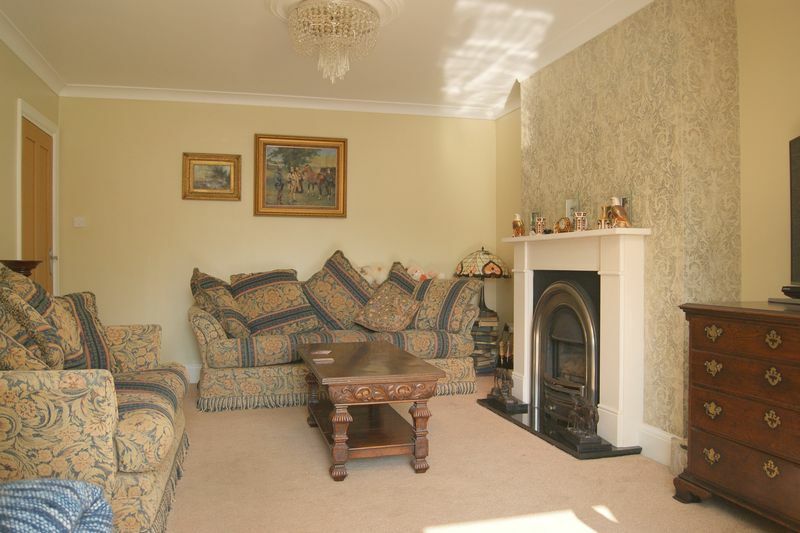 The sitting room is open plan through to the garden room. 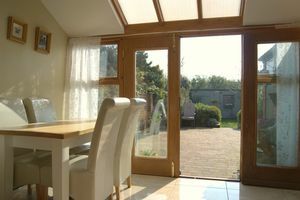 This delightful additional reception area has windows and French doors providing access out to the garden. The garden room has the same ceramic tiled flooring that flows through from the kitchen and hallway. This superbly fitted kitchen has dual aspect windows to either side, and as previously mentioned has doors leading back through to the hallway and into the garden room. In addition there is a large and useful storage cupboard which is sited beneath the staircase that has space and plumbing for a washing machine. The kitchen itself is fitted with a very comprehensive range of contemporary base and wall units with contrasting work surfaces and tiled splash backs. 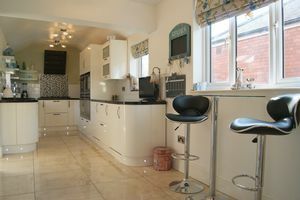 There is a one and a half bowl sink and integrated appliances include an eye level double oven, a microwave, coffee machine, a five burner gas hob with extractor hood above, and a dishwasher. The kitchen is further complemented with ceramic tiled flooring that flows through from the hallway, together with kick board lighting. In addition there are four ceiling light points and a radiator. 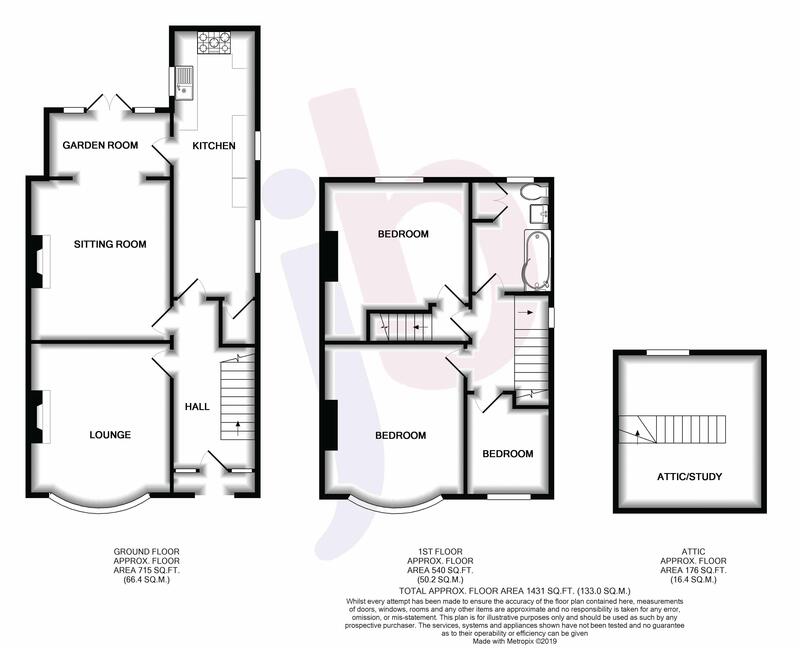 The staircase rises from the reception hallway to the spacious first floor landing which has a window to the side elevation and doors leading into all three bedrooms and the bathroom. 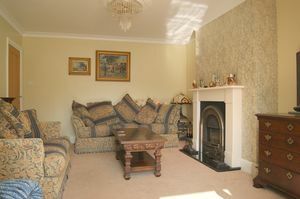 The landing also has a picture rail, a ceiling light point and a radiator. 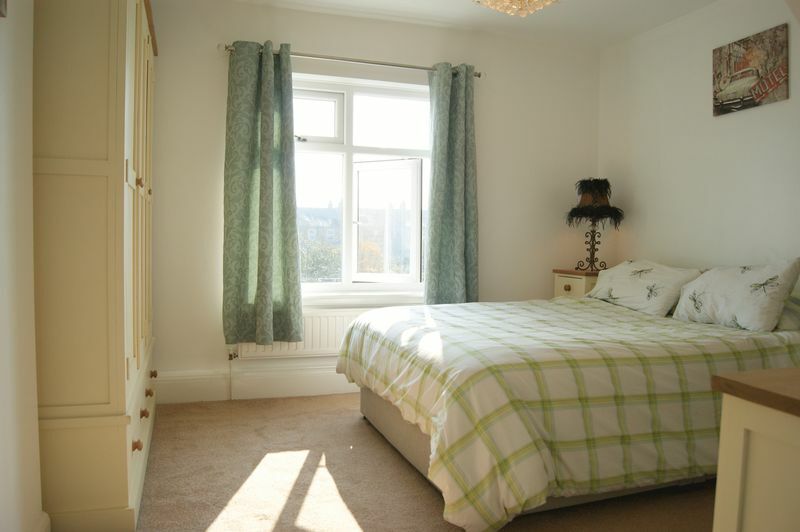 An excellent sized double bedroom with a bay window to the front elevation, a ceiling light point and a radiator. 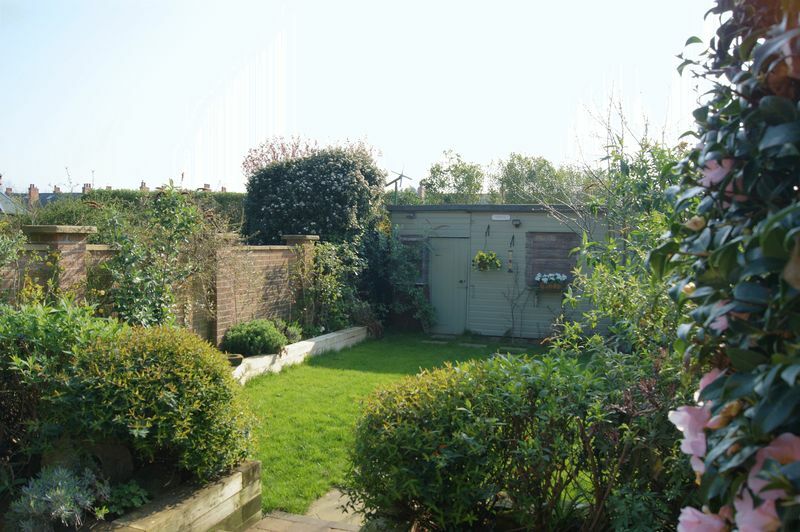 A further good sized double bedroom with a window to the rear elevation overlooking the garden. 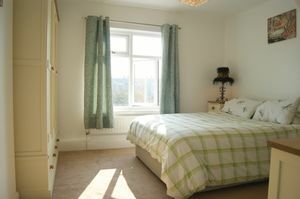 This bedroom benefits from having a fitted double wardrobe. In addition there is a ceiling light point and a radiator. 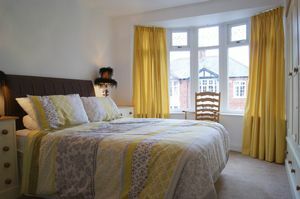 A good sized third bedroom with a window to the front elevation, a ceiling light point and a radiator. This excellent sized family bathroom has an opaque window to the rear elevation and is fitted with a contemporary white suite comprising a 'P' shaped bath with mains rainwater head shower above, pedestal wash hand basin and WC. 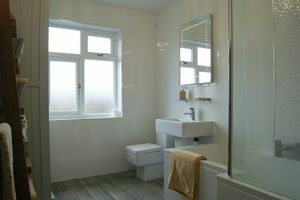 The bathroom is enhanced with contemporary ceramic floor and wall tiling and also has a heated towel rail and a ceiling light point. The airing cupboard is located within the bathroom. From the landing a door opens to reveal the staircase leading up to the attic room/study which has a Velux skylight window to the rear elevation. This useful room is equipped with power, telephone and internet socket. The property is accessed via wrought iron gates which lead onto the driveway which provides ample off road parking and in turn leads down to the garage. To the front of the property is a small hard landscaped garden. 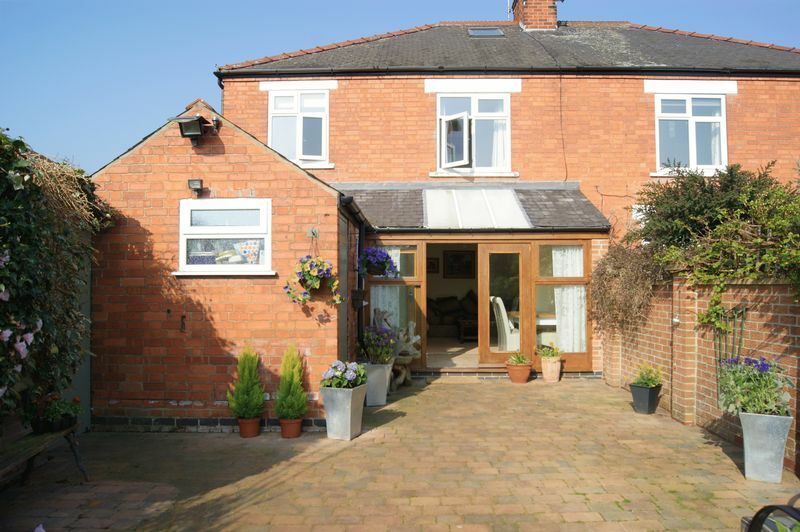 There is gated access at the foot of the driveway which leads around to the rear garden. The rear garden is fully enclosed and has a block paved patio area adjacent to the French doors from the garden room, this in turn leads down to a lawned area edged with a variety of mature shrubs and plants. There is also an outside WC and a concrete sectional garage. To the foot of the garden is a shed/workshop (19'7" x 9'7") which is equipped with power and light, and adjoining this is a further storage shed (9'7" x 5'0").